21 December 2018 (Toronto, ON) - Coming this Christmas, Watership Down will premiere on BBC One in the UK; and worldwide, outside of the UK, on Netflix. Commissioned by the BBC, the series is produced and was developed by 42 and Biscuit Entertainment, and is a co-production between BBC One and Netflix. 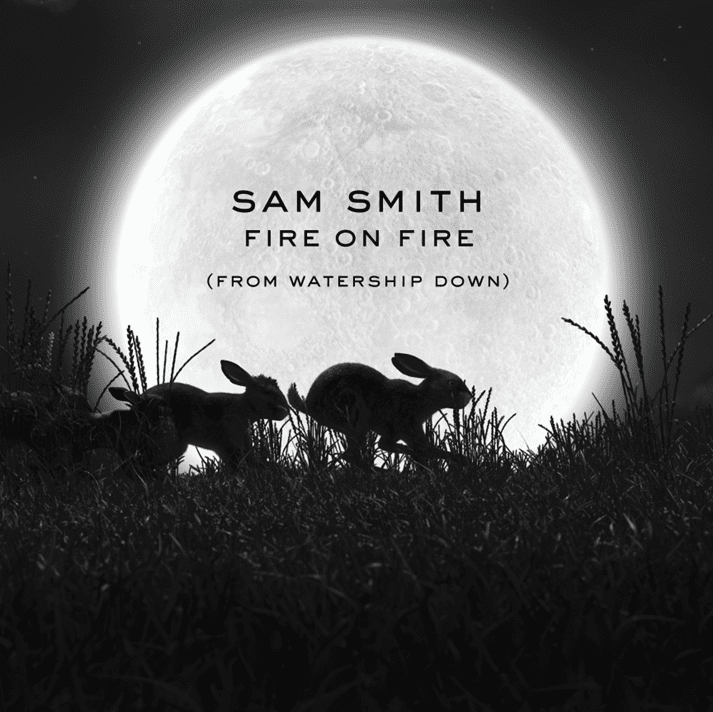 The forthcoming adaptation of Watership Down will feature an original song by Sam Smith, it was announced today. The Grammy, Brit and Academy Award winning artist was inspired by Richard Adams’ classic novel to write and record Fire On Fire, an original song that will serve as the theme to the forthcoming animated mini-series. Fire On Fire was co-written with Steve Mac and was recorded by Sam Smith with the BBC Concert Orchestra at London’s Abbey Road Studios in September 2018. The announcement coincides with the release of first-look images for the series. Available here and from www.bbcpictures.co.uk, they feature Hazel, voiced by James McAvoy, alongside Fiver (Nicholas Hoult), Bigwig (John Boyega), Clover (Gemma Arterton) and Strawberry (Olivia Colman) among others. Further star names have also been confirmed to join the previously announced Watership Down cast. Academy Award nominated actors Daniel Kaluuya (Get Out, Black Panther) and Rosamund Pike (A Private War, Gone Girl) will play Bluebell and The Black Rabbit Of Inlé respectively, with Peter Capaldi (Doctor Who, The Thick Of It) announced to join the cast as the seagull Kehaar. Watership Down will be shown on BBC One as two special feature length episodes this Christmas. Executive producers are Rory Aitken, Josh Varney, Ben Pugh and Eleanor Moran for 42; Noam Murro for Biscuit Entertainment; Martin Rosen; and Ben Irving for BBC One. The series is produced and developed by 42 and Biscuit Entertainment, was commissioned by the BBC, and is a co-production between BBC One and Netflix. The mini-series is co-directed by Alan Short and Seamus Malone and produced by Georgia Dussaud and Cecil Kramer.